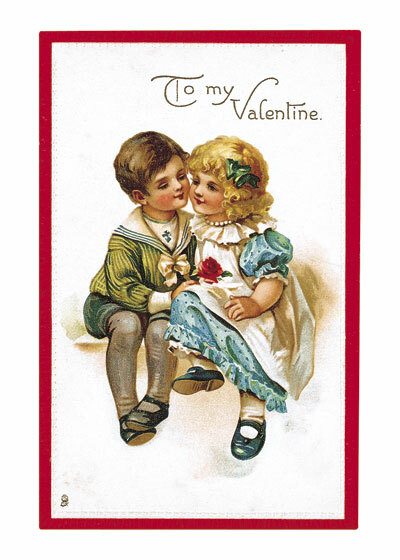 Valentine's Day reached its height of popularity during the romantic Victorian age. 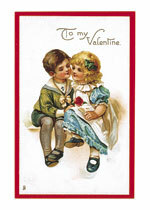 Valentine's Day reached its height of popularity during the romantic Victorian age. A sweet image of a little boy presenting a rose to a little girl.